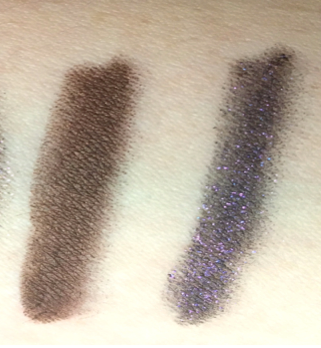 When I got the email last week about the new Nocturnal cat eyes to hypnotise collection being released I knew I had to purchase a couple of items! 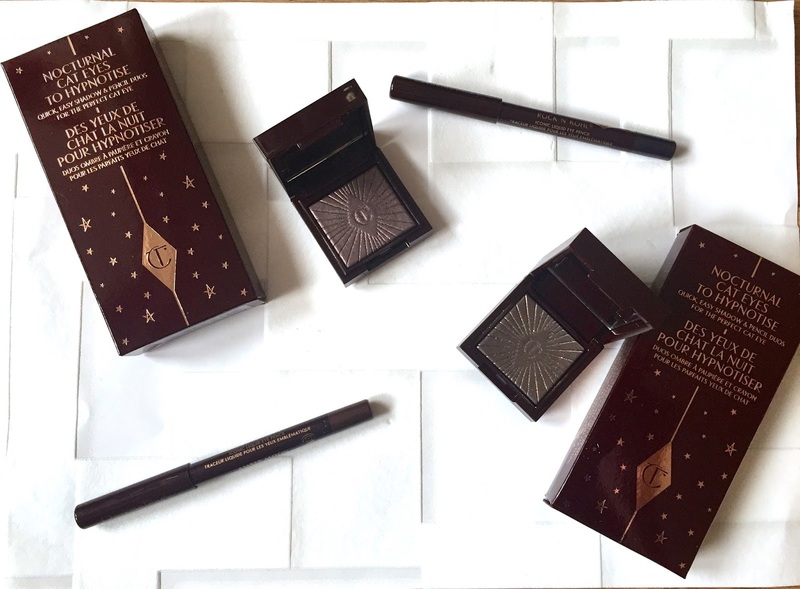 I am a huge fan of Charlotte Tilbury and love the eye shadow quads and the eyes to mesmerise shadow pots. I bought 2 of the duo sets which come with a single shadow and a mini rock 'n' kohl liquid eye pencil. I bought 'Amber moon & the huntress' and 'Supernova & on the prowl'. The shadows are a little smaller than I expected but are perfectly formed. They come in the burgundy packaging with the iconic rose gold CT on the top. The mini rock 'n' kohl are about 4 inches in size which can be sharpened when blunt. Pictured here on the left is the Huntress. It is a beautiful glittery muted golden brown/grey with quite visible chunks of gold glitter. 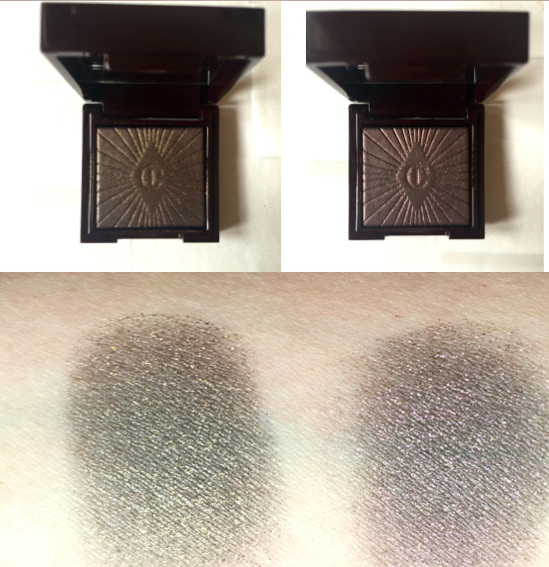 These are definitely for evening wear/ party seasons but blended out, these shadows can become quite subtle. The right shade is 'On the prowl' which still has a brown colour to it but this time has purple glitter running through it. This gives it a more red appearance on the skin. If you are looking for the perfect party makeup I suggest checking this collection out. They are a little pricey at £29 for a duo set but if you love Charlotte Tilbury, I'm sure you will not be disappointed. The new colour Chameleon smoky eye kit is now available which looks amazing too- have you tried it yet?